I actually can't remember when it started, but literally every single morning I wake up saying the exact same thing: "I'm so exhausted." And I literally am. On average, I would say I get about 7ish hours of sleep a night, maybe, if I'm lucky, but the thing is, there's a distinct difference between feeling tired, and visiblylooking tired. You know the look. Puffy eyes, puffy face, dark circles, larger than life pores, dry skin and facial imperfections that even makeup can't seem to cover up. Yesterday was one of those days. I looked in the mirror and thought, "Do I really look like this? What did I do to deserve this? What can I do to save myself?" It's days like these show how salt, alcohol or sleep deprivation can get the best of us, and it's literally painful to look in the mirror. But feeling sorry for myself is not an option. I have written about the best way to detox the body, but how do we un-puff the eyes and face and make ourselves look less tired? I've compiled my tried and true tips (that I swear by!) for how NOT to look tired – even when you are. Perfect, right? 1. For starters, drink water! This was one of my New Year's resolutions and its something that I have to work hard at. Even mild dehydration can drain your energy and make you look tired. Water is the key to life. On a normal day you should drink at least eight 8 oz. glasses, so when you look tired, pump that up! For those that have a water aversion like me, add lemon or emergen-c.
2. Apply a face mask! Make sure you use something nourishing or hydrating, because you want plump up that tired skin. My latest skincare love is Fresh Sugar Face Polish, a nourishing exfoliant made with pure brown sugar and strawberry seeds that seriously refines and hydrates for a truly radiant complexion. I recently traveled with this mask and applied right after my flights, and magically looked completely rested and pore-free! This product is a must-buy, tired or not. I'm also DIGGING Bioxidea Miracle 24 Face Mask. It's one of those cloth sheets that is just saturated with serum. 3. Apply an eye mask. Sure, sure you just applied your face mask, but that delicate area around the eyes is one of the telltale signs of fatigue. I LOVE Klorane and Chantecaille eye masks because they're super easy to apply and perfect for travel. If they say 'leave on for twenty minutes', apply for one hour. I also love Talika's Cellular Eye Contour Patch. This brand is new for me, and what I love that the patches are inspired by aesthetic surgery techniques. 4. Get moving. Take a brisk walk or go work out! I know, sometimes exercise seems like a daunting idea, but getting up and moving gives you a rosy and healthy glow. 5. Always keep spoons in the freezer. Frozen spoons on the eyes will work wonders in the de-puff department. Take out of the freezer and leave on your eyes for as long as you can. 6. Splurge on citrus. They're packed with vitamin C, and can increase energy and alertness. 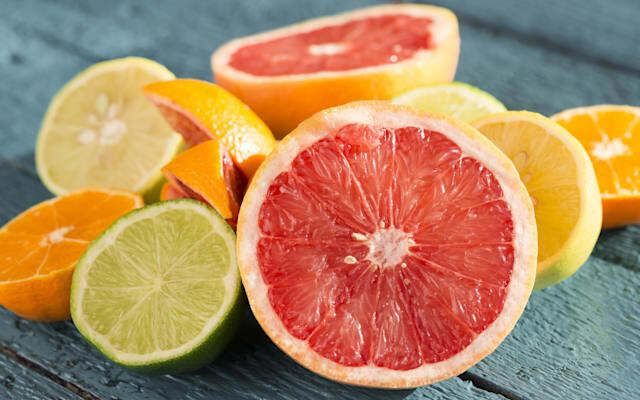 Add lemon to your water or down a ½ grapefruit. Add honey to make it a bit sweeter. 7. Try an eye massage.Clinique De-Puffing Eye Massage is great for on-the-go. Its like a roll-on perfume, but for your eyes. The cold metal ball instantly cools while dispensing brightening serum. I also love newly discovered Eye Detox, Care & Color Gel 2 in 1 Skincare and Make-Up by Talika. One side contains a cooling gel and the other a concealer. Um, so sick. 8. Eyedrops! I'm addicted to Rohto Cooling Eye Drops. I keep a few around my apartment and in my makeup bag just in case. My LA bestie Taylor got me involved in these. Apparently, everyone in Hollywood uses these babies. 9. Concealer for the eyes. Apply under the eyes and around the nose area and down the smile lines. A color that is slightly lighter than your skintone will brighten your complexion immediately. I'm LOVING Nars Creamy Radiant Concealer (in Vanilla), which is a touch lighter than my natural color. 10. Luminize. Radiant or luminizing products deflect light and make imperfections less visible. A brighter face makes you instantly look awake. My latest love is a product I just talked about, Koh Gen Do's Aqua Illuminator. It's the B.O.M.B. You can either mix in a large dollop in with your moisturizer OR apply directly around your eyes, cupid's bow, forehead and, of course, the brim of the nose. Elizabeth Arden Eight Hour Cream is another excellent dual-functioning product that can be used as a highlighter to brighten and nourish your skin. 11. Invest in a brightening pen. Sometimes if you're lazy or just lounging around the house (but you still want to look your best), apply a brightening pen like BY TERRY Touche Veloutée Highlighting Concealer or classic YSL Touche Éclat in Luminous Radiance. These are beauty bag essentials. 12. Benefit Eye Bright. This pink-toned, creamy stick has been one of my go-to brightening products for years. I simply apply it under my eyes and on the inside corners to wake up. 13. Sunglasses always do the trick.